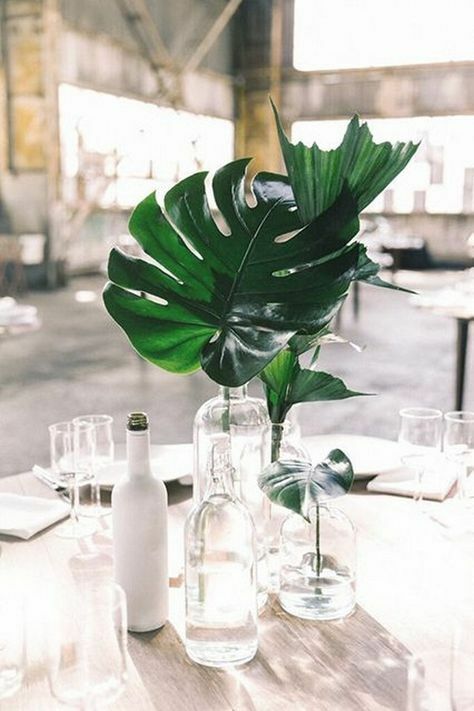 No bloom wedding decor is a very trendy idea to rock, and it’s popular not only for industrial or woodland weddings, it’s widely used for boho, modern, minimalist and many other types of weddings. 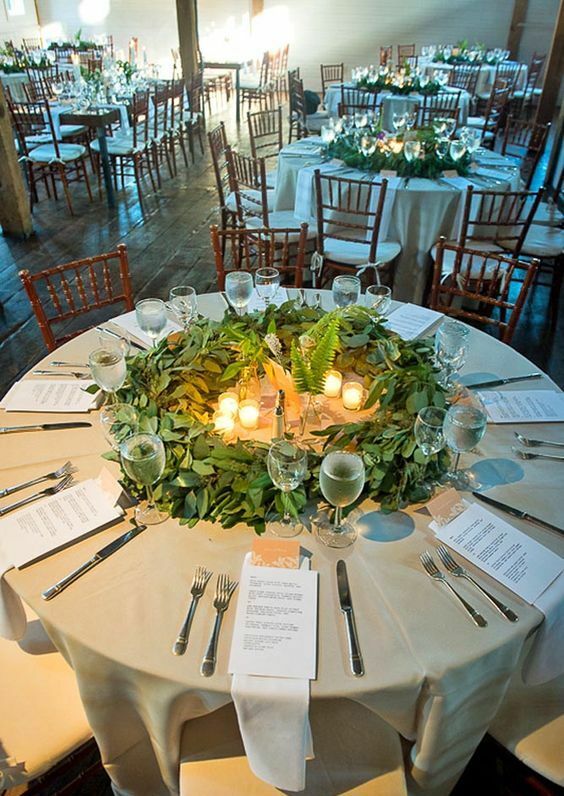 Besides, it’s a great way to save the budget on flowers, which often require large sums of money. 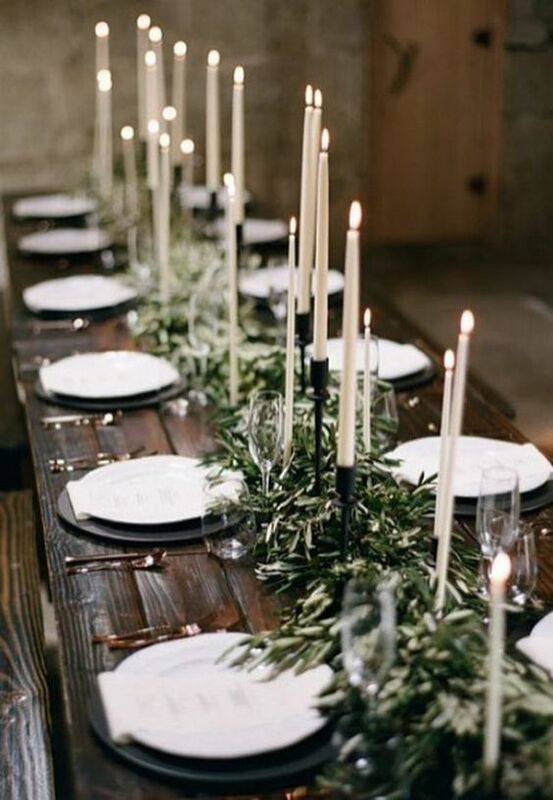 And third, it’s a cool way to stand out. 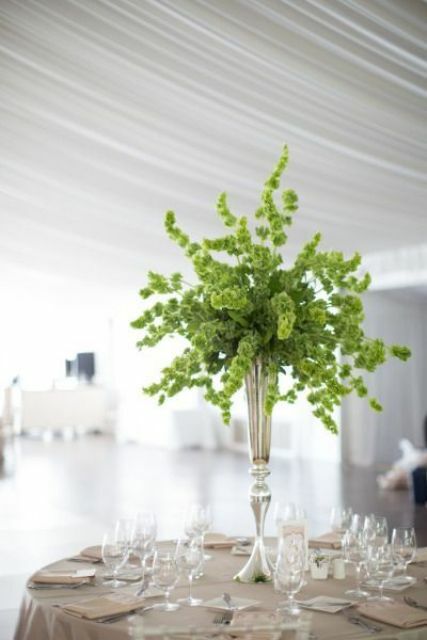 Whatever your reason is, rocking no bloom greenery decor is a chic idea, and I strongly recommend to try it. 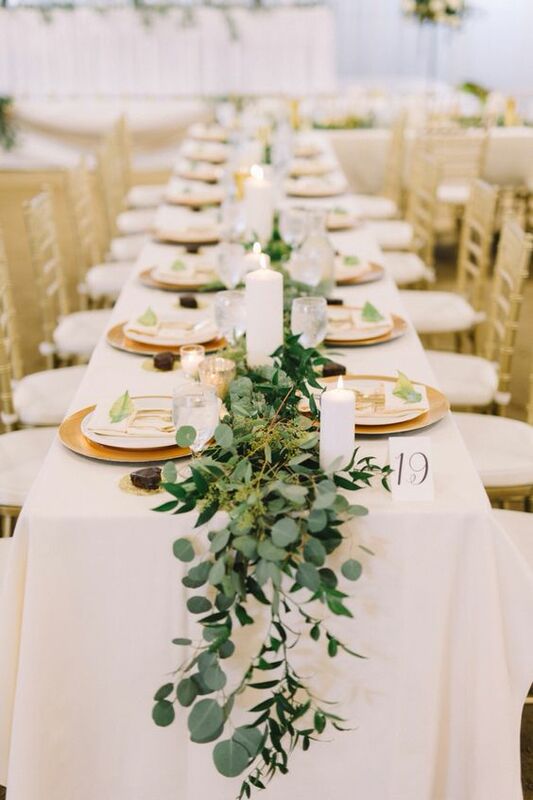 To inspire you for such decor, I’d like to share some ideas for no bloom centerpieces and runners that are sure to make your wedding table decor cooler. 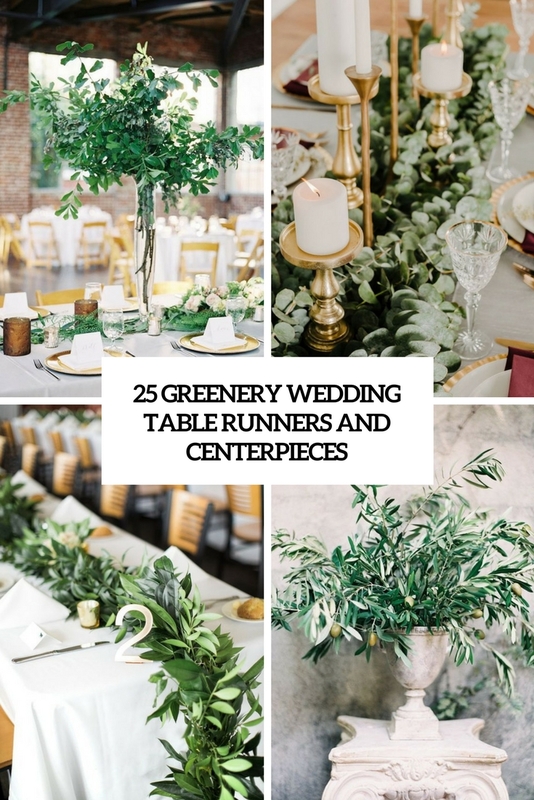 You may say that greenery wedding centerpieces without any blooms aren’t very variative but I assure you: there are lots of types of greenery to go for. 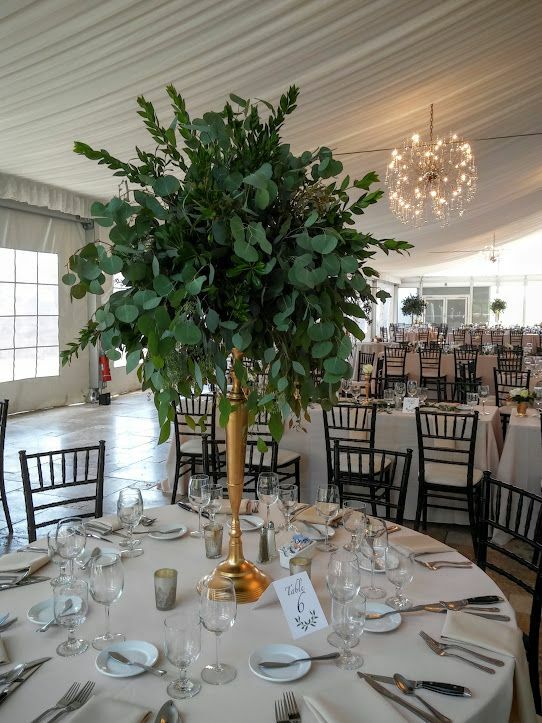 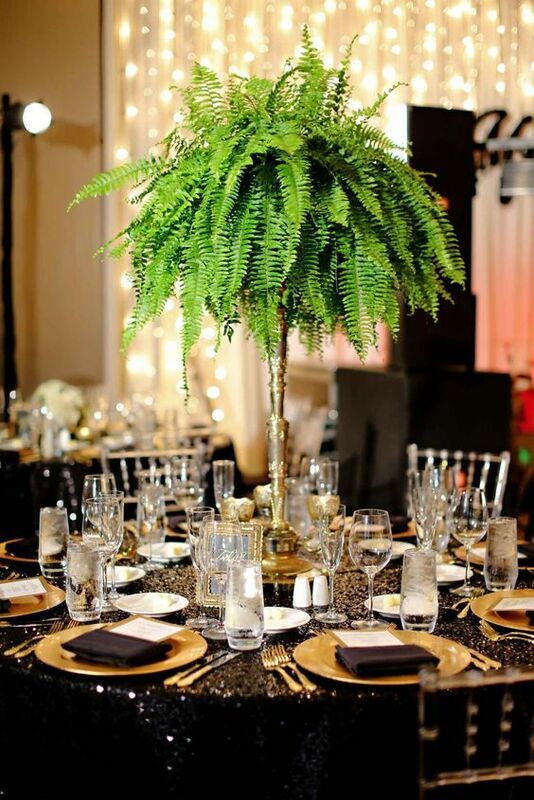 Various types of foliage, branches, leaves can be used to arrange a centerpiece for your wedding style and theme. 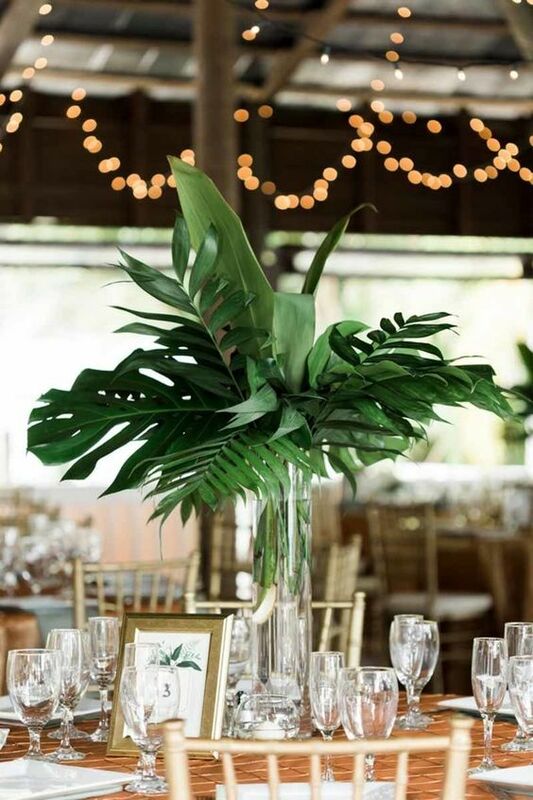 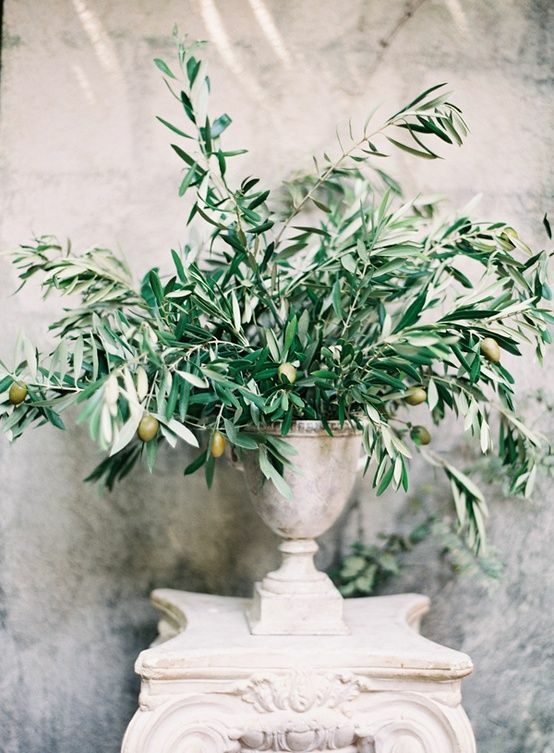 You can make a tropical centerpiece using various vases and palm and other tropical leaves, or go for a lush greenery centerpiece of olive branches for a Tuscany wedding. 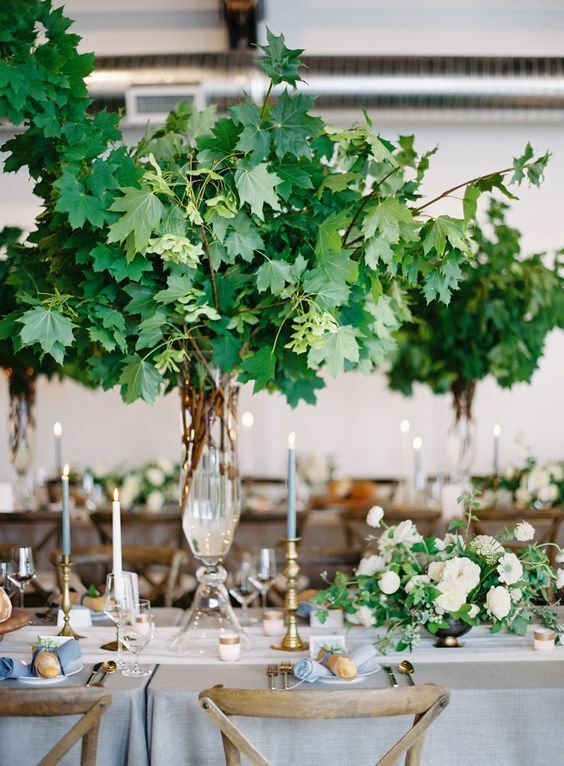 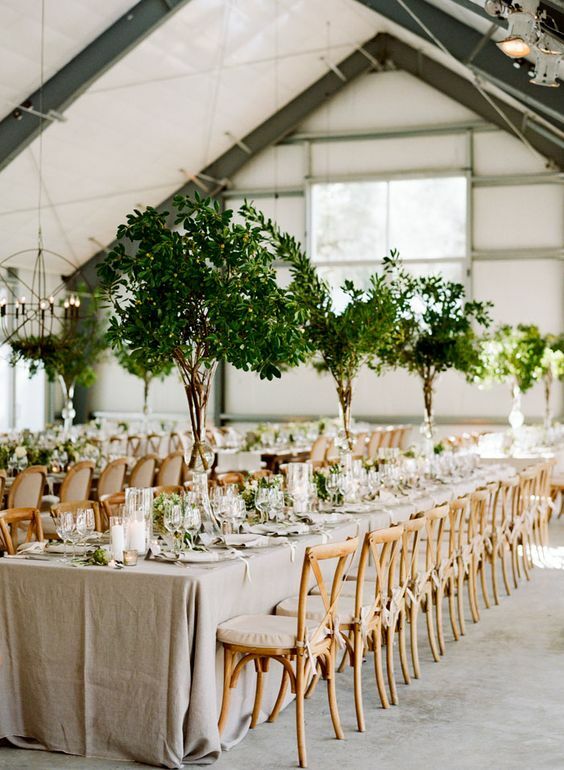 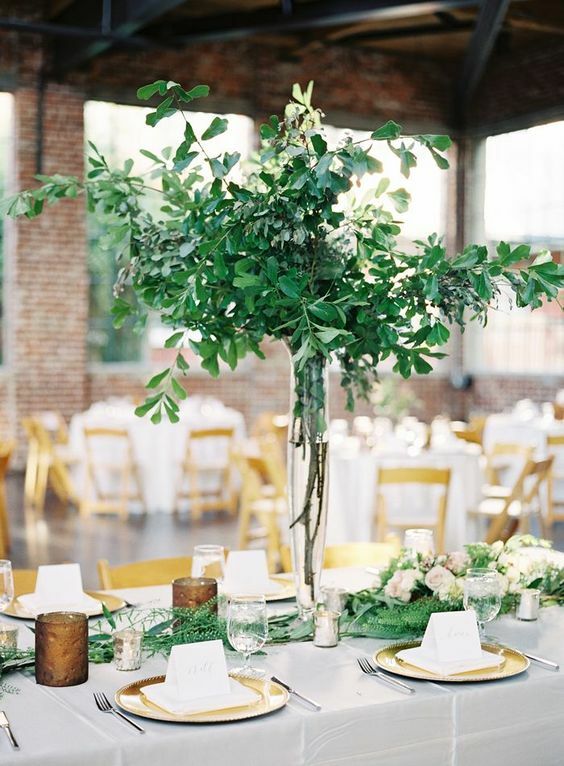 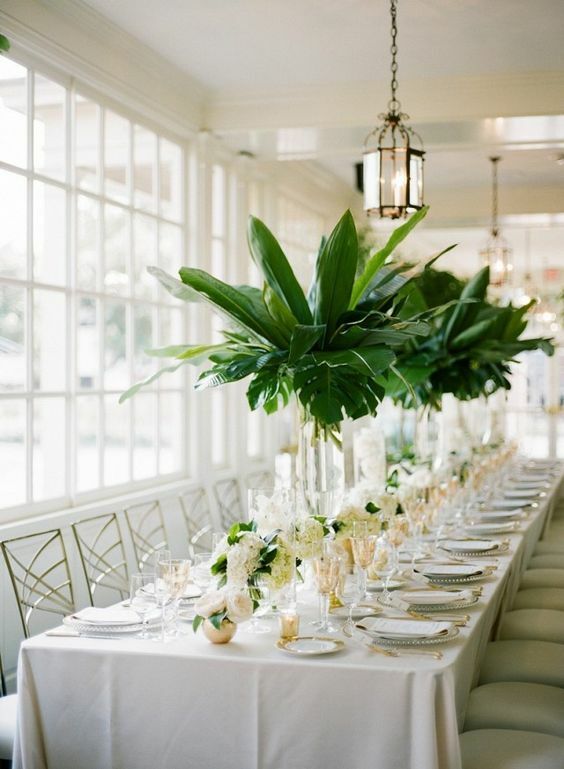 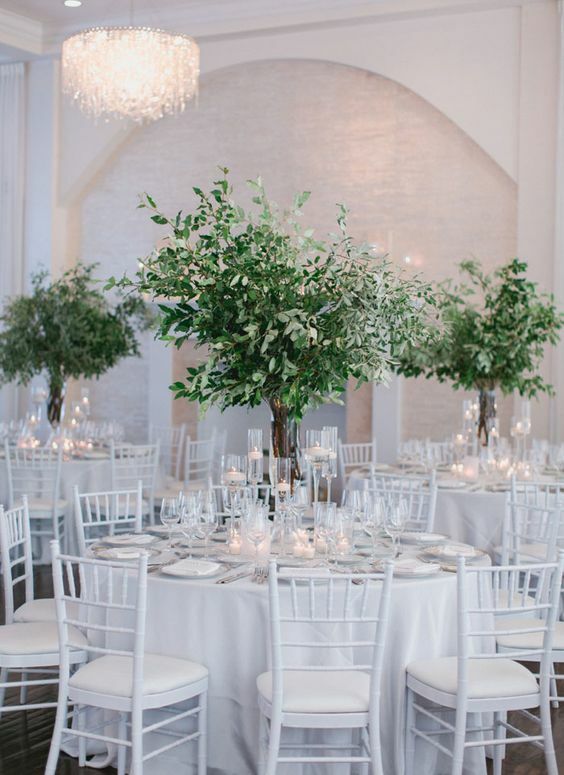 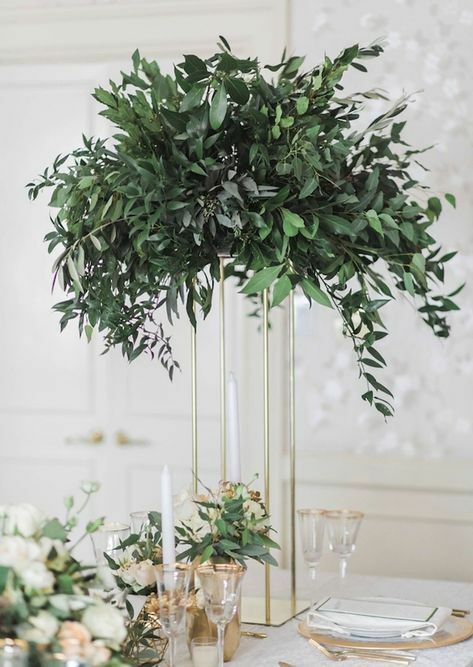 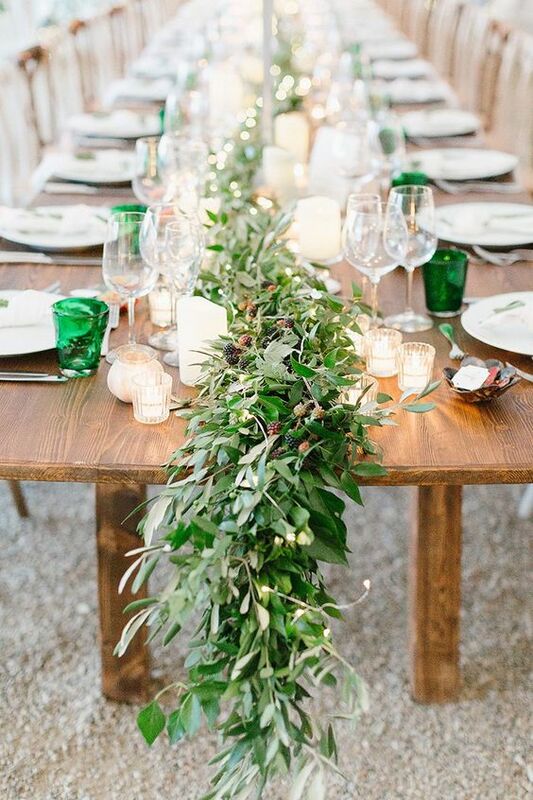 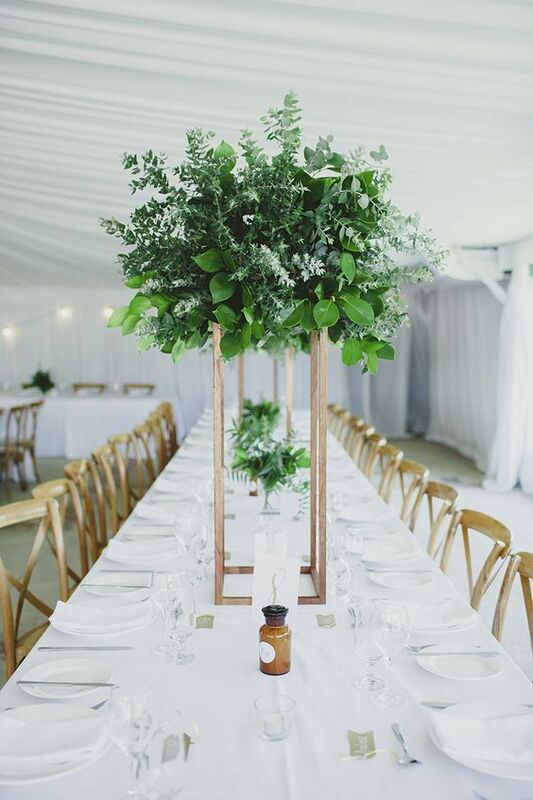 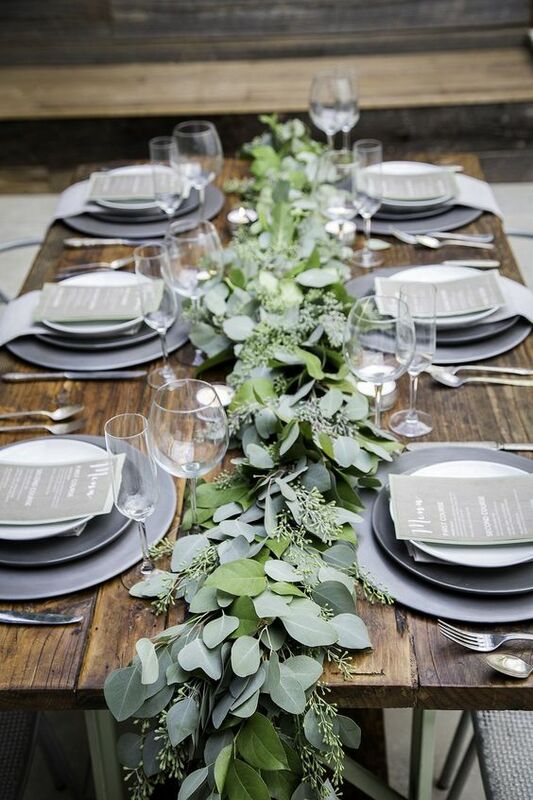 Try ferns and foliage for a woodland wedding, or go for eucalyptus, which is a timeless idea. 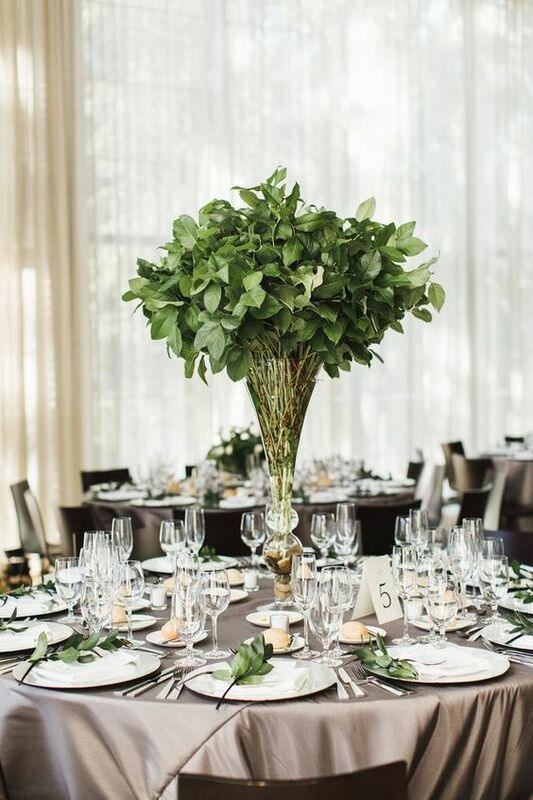 Make the tablescape more eye-catchy with a tall wedding centerpiece on a metallic stand or go for tree-like branch arrangements in clear glass vases – such centerpieces will make you feel like outdoors. 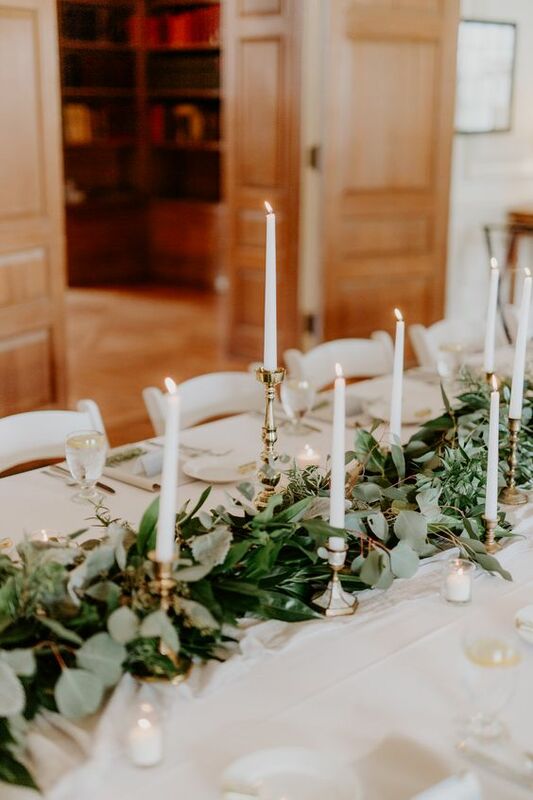 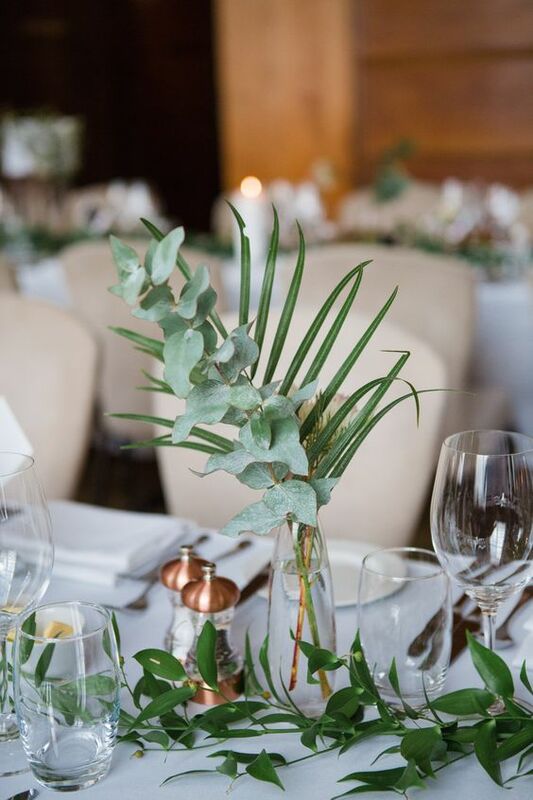 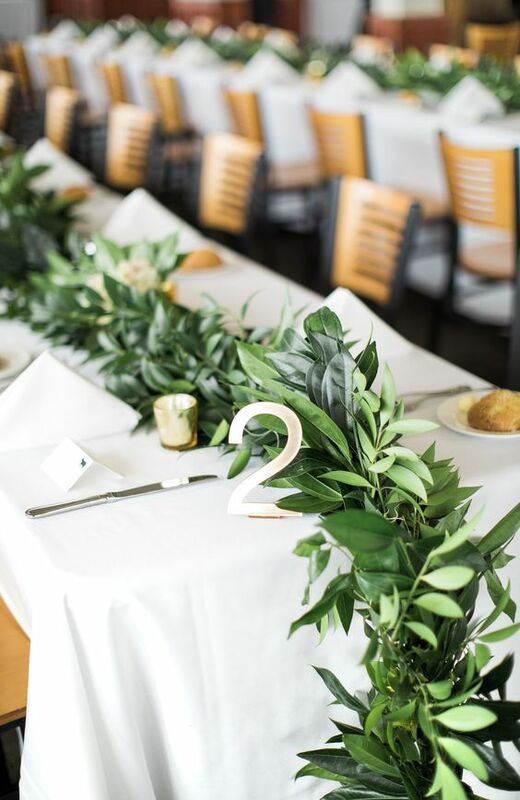 A greenery and no bloom table runner is a chic idea for any wedding, too, and the most popular type of greenery is eucalyptus, it fits most of wedding styles and looks. 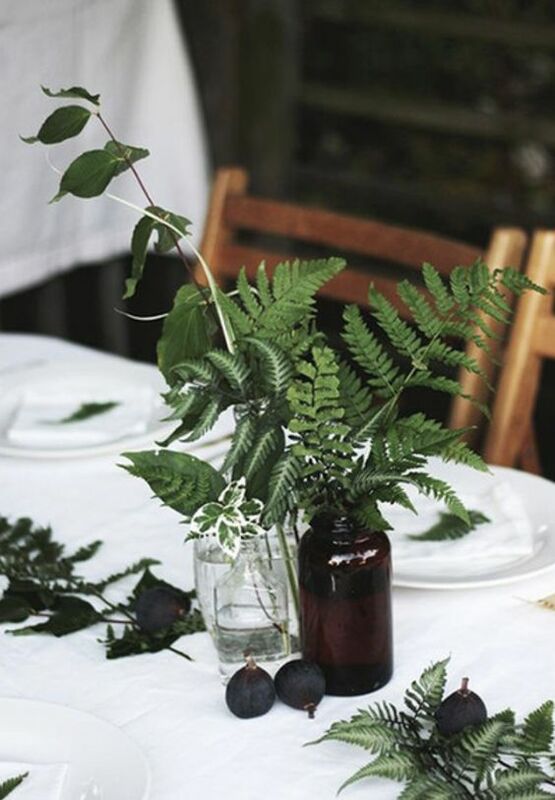 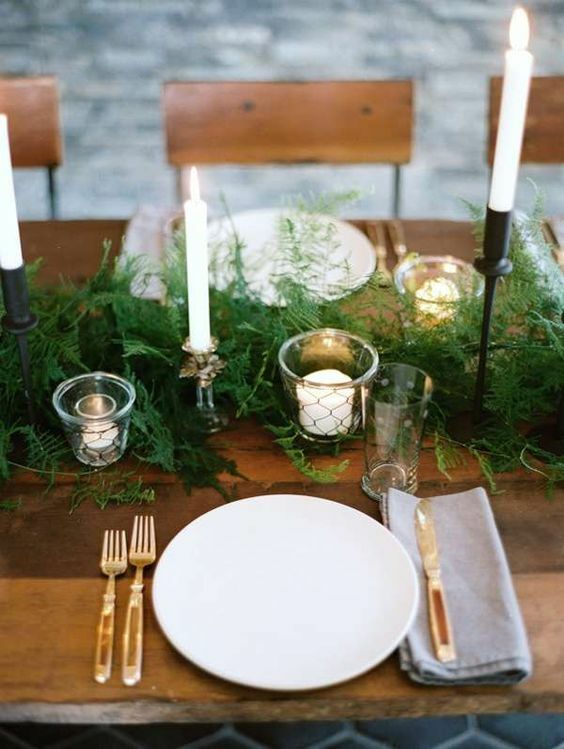 Ferns and moss are great to rock for a woodland wedding or a boho event, and there are many types of greenery you can mix for a table runner. 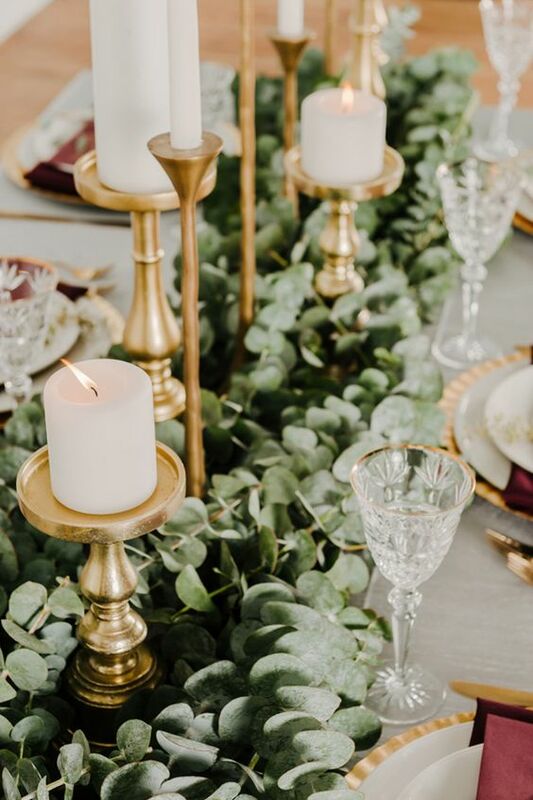 Add candles to make the table runner more elegant, and maybe succulents for a trendy feel or berries for a touch of wild.